Lately, I've been enjoying listening to audio books on my commute to work. I've listened to Stephen Covey's Seven Habits of Highly Effective People, Charles Dickens's Oliver Twist, and, most recently, Dava Sobel's Longitude. I'd heard enough about Covey's book to know it would be fantastic and helpful for personal growth, and I knew Dickens's would be entertaining, albeit a bit slow in places from excessive conversation between unlikable characters showcasing flaws in society needing addressing (mistreatment of the poor, for instance). But I was pleasantly surprised by how enjoyable Dava Sobel's Longitude was, despite being non-fiction. I write the last semi-jokingly. Growing up, I didn't care to read non-fiction beyond my school textbooks, but now I find it not only beneficial for personal and spiritual growth, but often fascinating and entertaining. 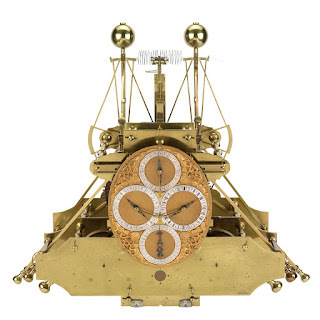 John Harrison's first sea clock, known as H1. 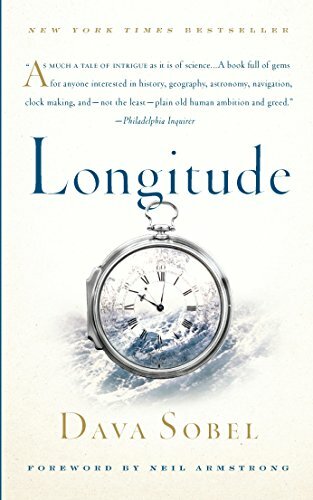 Before listening to Longitude (read by a marvelous Bristish actress), for instance, I had no idea the accurate determination of longitude (a seemingly dry measurement learned about in school days) had such history and consequences. Countless sailors died in wrecks when ships unable to accurately determine their position (latitude and longitude) ran into reefs or into enemy territory, or died from scurvy because they couldn't find an island to gather fresh supplies soon enough. The struggle to accurately determine longitude resulted in many advances in astronomy and clock making, and, ultimately, lead to technologies we take for granted today. A few hundred years ago, even the best clocks could lose several minutes each day. So what?, you may say. It's still facts and facts are boring. Only when told merely as facts. Any discovery or seemingly dry fact came about through the adventures of people. All people have stories, so all discoveries, technologies, and bland lines in textbooks, have stories. And those stories can be as entertaining as fiction, and more remarkable, if well told. Who would have guessed today that an accurate way to tell your position (best found either by using the heavens or by an accurate clock [not a common thing at the time]) would be rewarded by a king's ransom? But several kingdoms offered large prizes to anyone who could solve the "longitude problem." John Harrison, a self-taught carpenter and clock-maker, is a part of the story of longitude, and such famous people as Sir Issac Newton, Edward Haley, and Captain James Cook are intertwined in it. So in addition to being entertained and informed on history and science through Sobel's Longitude, I came to a greater appreciation of today's technology, of our seemingly simple ability to tell accurate time and know exactly where we are and how to get where we're going. Hopefully, you're not like I was, disregarding non-fiction in favor of fiction. If you are, however, I encourage you to give non-fiction a try. What non-fiction have you read lately? Or what would you like to read? Labels: audiobooks, Dava Sobel, discoveries, Lizzie, Longitude, non-fiction, Reading, Your Turn! Cool post, Lizzie! I'll admit I rarely read nonfiction, but when I do it's typically about writing or parenting :) I know what you mean though, the dry historical facts become so much more interesting when they're attached to someone's personal story! It does make it a lot more interesting when a person's story is involved.